This Women’s History Month, we're featuring Dr. Karma Lhaki, who is not just the first female physiotherapist in Bhutan, but also one of the pioneers of pediatric physiotherapy in the country! Nine years ago, as the first and only female physiotherapist in the country at the time, Dr. Karma was asked to begin the pediatric physiotherapy program in the country. Dr. Karma was inspired to work with children and especially with children with disabilities. Although she was not academically trained in this field of expertise, Dr. Karma has taken many trainings and essentially learned on-the-job to work with children with disabilities. Currently, Bhutan has 28 physiotherapists, out of whom 12 are female, as well as one newly graduated occupational therapist and three speech therapists. We’re happy to work directly with Dr. Karma Lhaki and her team in order to improve intervention services for children with disabilities in Bhutan as part of our special education program. 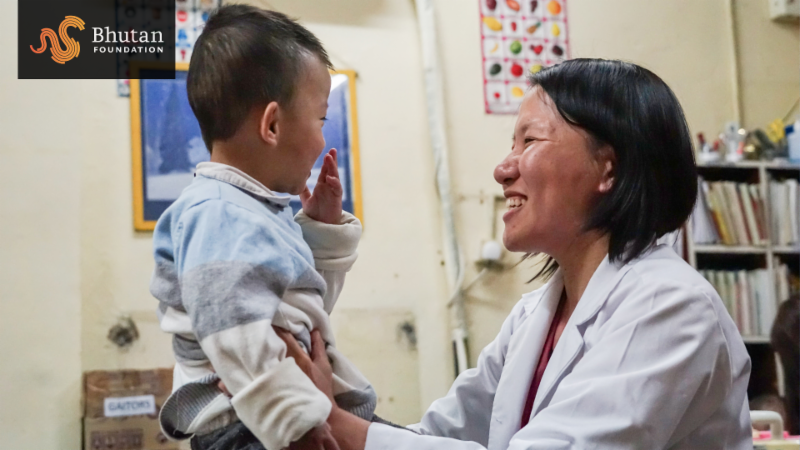 Given today’s special recognition of female achievement, we sat down with Dr. Lhaki for a quick Q&A on her thoughts moving forward about the work she is doing at Jigme Dorji Wangchuck National Referral Hospital in Thimphu . What inspires and motivates you to work with children with disabilities? Working with children with disabilities is challenging and encourages you to be creative. The challenge inspires me because having to the do the same thing everyday gets boring for me. In addition, everyday is a different day for us here because we see different children each day and provide different types of interventions for each child. What is your biggest challenge at your current workspace? The biggest challenge we have is the lack of resources and trained professionals to help our families and children. We often need to find solutions by ourselves whether it is looking it up online or via our network. Lastly, it is difficult to convince families to make sure they bring their child to the hospital on a regular basis. Often, we have parents who do not bring their children regularly to the hospital for intervention, which eventually leads to lack of follow-up and developmental delays. ﻿What is your wish for the future of this program? Or for children with disabilities? Currently, I feel that the government has not made the area of disability a priority. With increased awareness, we are getting a lot of children with disabilities coming to the hospital, and we lack human resources and capacity to help these children. The government has also not provided a lot of funding for training of our staff, which is a challenge as well. We would be very grateful if the government could make sure disability laws are passed and ensure that these children get the right type of care and help that they need. Dr. Karma Lhaki was recognized for her work with the 2017-2018 Outsanding Performance for the Year Award from Jigme Dorji Wangchuck National Referral Hospital. If you'd like to know more, please click here to read on about the Bhutan Foundation's Special Education Program. 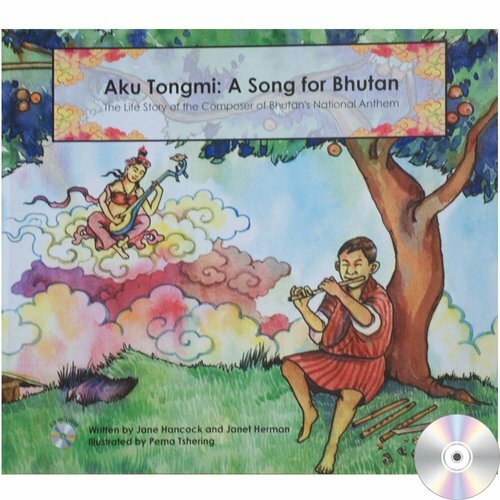 This beautiful children's book tells the inspiring life story of composer Aku Tongmi, who was recruited into the Bhutanese Army from his remote rural village at a young age and eventually became a close personal servant to two Bhutanese kings, beloved first conductor of the Royal Army Band, an important teacher of traditional music and dance, and a generous builder of Buddhist temples and shrines. Illustrated by leading Bhutanese artist Pema Tshering, the book provides a wonderful little window into the culture and history of Bhutan, the Himalayan country of “Gross National Happiness.” It includes an accompanying CD featuring the national anthem and other songs performed by a Bhutanese children's choir, as well as full bilingual text (English/Dzongkha) of the story and CD song lyrics.